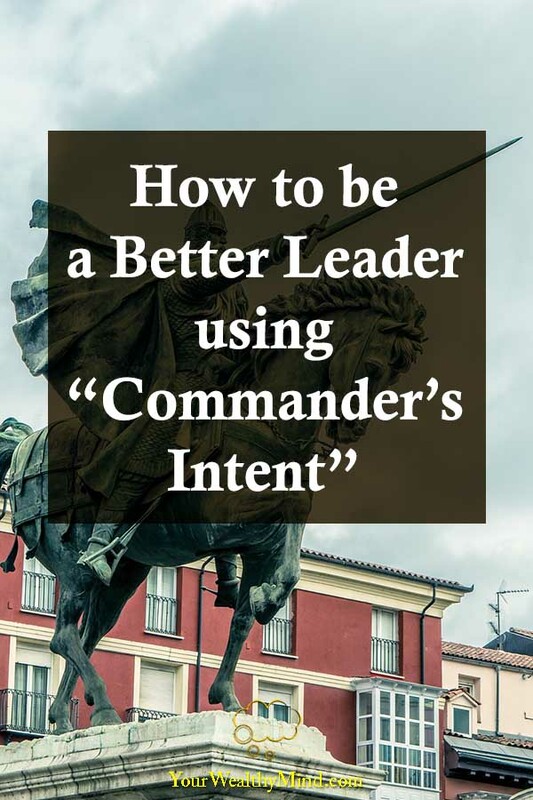 Here’s another leadership concept that you’ll need to learn if you want to become a more effective executive, and it’s called “commander’s intent”. Understanding how to use it will allow you to be better at delegating, get your team to finish more tasks at higher quality, and it also gives experience and responsibility to your team and allow them to grow and develop. Aside from those who are initially too shy to give orders, a lot of new leaders are tempted to micromanage their team members. It’s easy to think that our way of doing things or our ideas are the best. Since we’re the “leader” or “boss” we’re often tempted to think that we know better just because we’re ranked higher which is, of course, not always true. If we come from a business management background and we’re forced to manage a team of doctors or engineers, we might find it easier to listen to others’ advice since they’re experts at their fields. Unfortunately, we’ll likely have a stronger overconfidence bias if we got promoted from within the same team or company. If you tell people to do something a certain way and punish people if they do things that are different from what you instructed, then they’ll eventually stop trying to improvise. That’ll be VERY inconvenient when problems arise as they’ll need to ask for your feedback whenever something goes wrong. Consider this scenario. Imagine if you needed your sales team to deliver a project proposal to a specific client that will net you a million dollars in sales. You tell them to meet the client after lunch next Thursday, take the train to the client’s office at a certain address, use the video and powerpoint presentation you created, and get the client to agree to a specific price for the project. Now imagine if things go wrong. The train stops working due to technical difficulties. Would they need to ask for your permission to use a different form of transport? What if the client is not at the office? Would they need your permission to cancel or move the meeting? What if the client doesn’t agree to the price, or they want extra benefits from the project, or they cancel and say no to your sales pitch? If problems occur and you don’t allow your team enough autonomy (which is what people expect when they have micromanaging bosses), your team will be forced to keep asking you what to do next whenever they encounter problems. You’ll complain “why can’t they think for themselves” when, in reality, the last time they used their own solutions without your permission, you got mad. That work environment is really gonna hinder your team’s ability to get things done. So where does commander’s intent come in? You tell what and WHY you need something done, and that lets your team members use better means to finish what you need to do. With the example above, why did you need your team need to deliver a sales presentation to that person? To earn a million dollars in sales. Now that we know WHY they need to do something, they can then consider alternatives. Let’s explore those problems again. The train stops, or the client is not at the office? Why not try an online video conference or have them deliver the sales presentation to someone else in the company like a higher officer or a member of the board? Does it really have to be THAT specific client? What about the specific price you’re asking? Have you considered OTHER possible clients for sales deals, like those who could be better for your company? The possibilities open up for your team when you tell them what and why they need to do certain things instead of how they should do things. Setting limits as to what they should or should not do (e.g. be rude or forceful to clients) and giving them training is needed of course, but overall you must learn to set goals for your team instead of just giving specific instructions on how they should work. Here’s a bonus lesson. Why are you doing what you are doing right now? Why did you take your specific course in college? Why did you take the current job or career you have now? Why do you want to be a manager or executive? Why did you want to start a business? Why did you want to continue your family’s business? Are you doing it for the salary? The money? Prestige? Fame? Is it because your parents pressured you to do it? Once you learn the reason why you do the things you do, you’ll be able to find alternatives that can give you the same thing. BETTER alternatives. 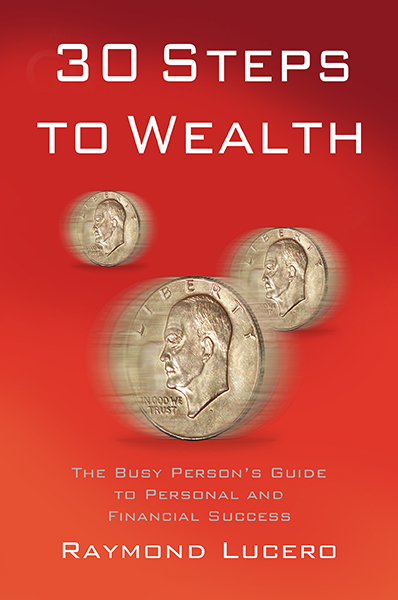 After all, your current salary isn’t the only source of money. You can get a career you like better, work at a better company, start a business, build rental properties, trade investments, and more. The fame or prestige of a fancy job title? Pressure from your family or circle of friends? Once you realize that you don’t really need to give in to those, you’ll be free to do what you want. You’ll gain self-confidence and pride in doing the things you love to do and live a life that you enjoy. Instead of just telling people how they must do things, tell them what they should do and WHY. That will let them find creative solutions and alternatives to the things you need to accomplish. That is all for now. I hope you enjoyed this article! If you want to learn more, go ahead and check out our other articles here on this link!